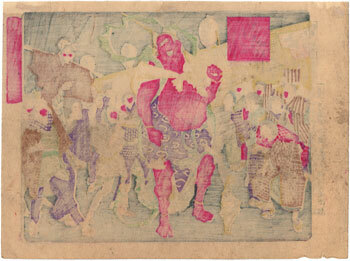 Interesting polychrome woodblock print made in 1881 by the famous artist Tsukioka Yoshitoshi (月岡芳年). 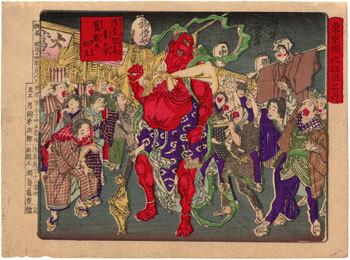 The work is taken from the series "Famous Places and Humorous Images of Modern Life in Tokyo" (東京開化狂画名所) and is titled "An Old-fashioned Guardian King at the Year-end Festival of the Kannon Temple in Asakusa" (浅草漢音年の市旧弊の仁王). 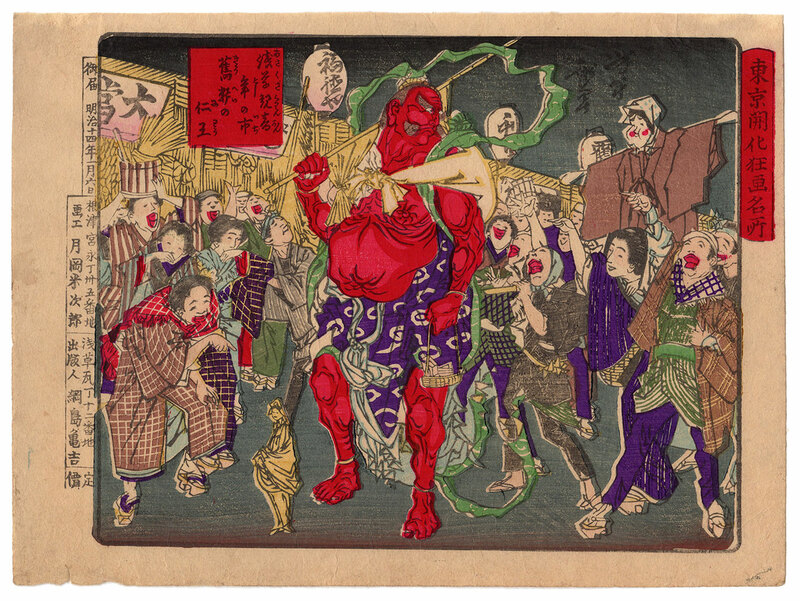 Nio (仁王) or Kongorikishi (金剛力士), the benevolent kings, are two wrathful and muscular guardians of the Buddha, standing at the entrance of many Buddhist temples in the form of frightening wrestler-like statues. They are manifestations of the bodhisattva Vajrapani (執金剛神), the oldest and most powerful of the Mahayana (大乗仏教) Buddhist pantheon. According to Japanese tradition, they travelled with Gautama Buddha (釈迦) to protect him. 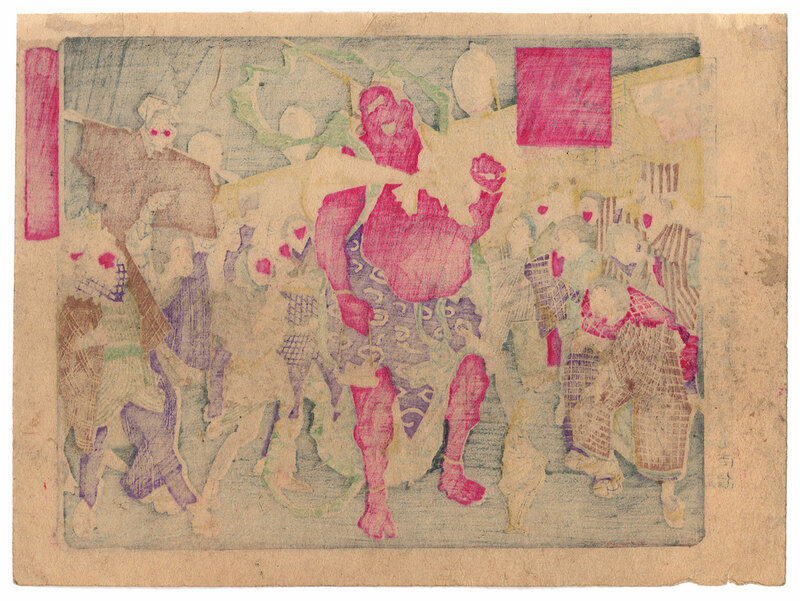 The precious woodcut on Japanese washi paper (和紙), edited by the publisher Tsunashima Kamekichi (綱島亀吉), despite the right signs of the time is in good general condition.